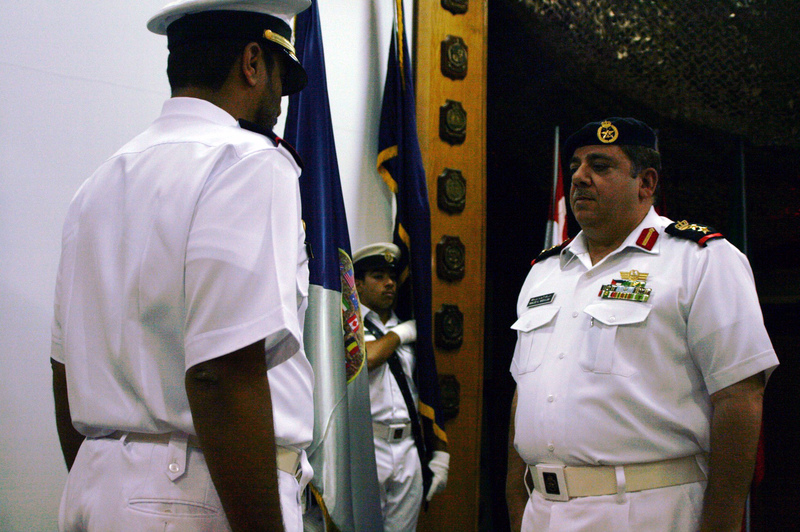 KUWAIT NAVY BASE, Kuwait – Command of Combined Task Force 152 (CTF-152) today passed from the United Arab Emirates Navy to the Kuwait Navy at a ceremony at Kuwait Naval Base, Sept 22. 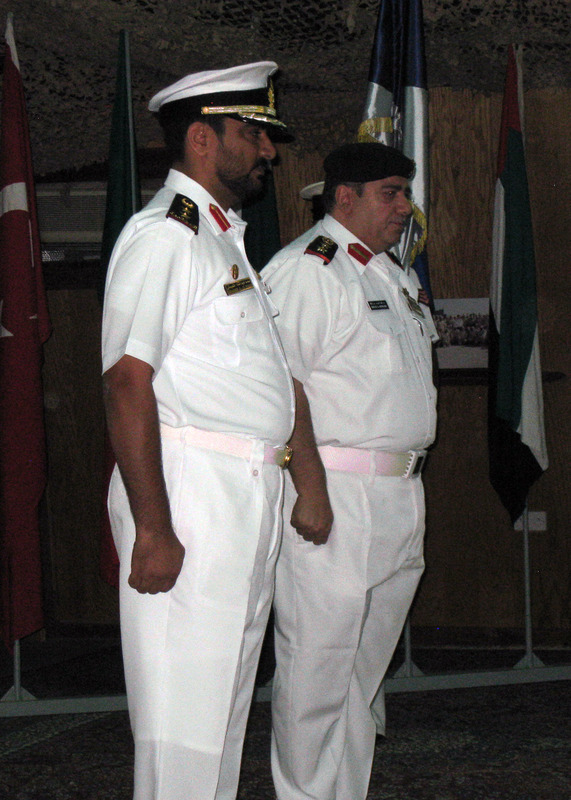 Staff Colonel Mohammed Abdulla Al Hosani (left) of the UAE Navy was succeeded as commander by Colonel Khalid Ahmad Abdallah of the Kuwait Navy. Staff Colonel Mohammed Abdulla Al Hosani of the UAE Navy was succeeded as commander by Colonel Khalid Ahmad Abdallah of the Kuwait Navy. CTF-152 operates in the Arabian Gulf conducting maritime security operations in conjunction with regional partners. Activities conducted by the task force include counter terrorism, maritime infrastructure protection and coordinated crisis response. “Although this period was short in terms of time, it was rich and fruitful in terms of the experience and the confidence we have gained. Maintaining Gulf maritime security remains the principle objective of our partnership. The combined actions and joint activities evident over the past months clearly demonstrate the level of support, effective participation and shared responsibility evident between nations which has contributed to the success of CTF 152”.